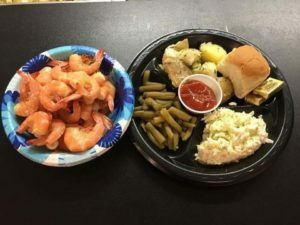 Enjoy a delicious shrimp dinner, served with potatoes, green beans, Cole slaw and a roll. Half pound of shrimp is $15, full pound is $20. Desserts available with small donation to the Poppy Fund.